One of the most trending topic of current times IoT, is certainly a leap towards a better future. 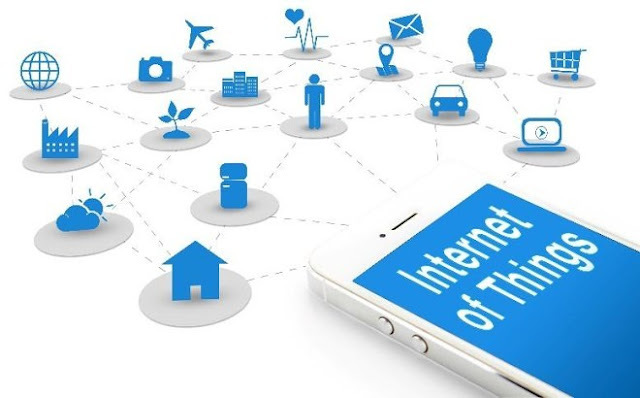 The advent of Internet of Things (IoT) now is rightfully compared to that of the advent of internet in 90s, which is going to once again revolutionize the way we live. One of the most positive things about such technical advancements is that they create opportunities for newcomers and start-ups to be able to compete in the market purely based on innovations which would otherwise be almost impossible. Several start-ups became giants in the internet era, several conventional giants not ready to adapt to the new order fell apart and those who were ready to accept the change survived. Same is expected to happen once again, probably the resetting has already begun. However this time start-ups are large in number, people taking lessons from the last time, are ready to take risks for their innovative ideas. Also the internet has made us more confident by creating many examples in past in which, starting from scratch individuals and organizations rose to unimaginable heights, looking upon which we get filled with hopes and feel ready to jump into the arena. However, with all this positivity, most of us tend to forget evaluating our innovation’s novelty and on top of it its usability. Mostly it is thought that every start-up is aware that the only way to ensure survival and competency amongst others is to solve a pertinent problem. And the extent of the value of your solution is mostly determined by the number of individuals who are going to be benefitted by it. This is the main issue currently crippling our start-up ecosystem. In a hurry to hit the market ASAP or maybe to prove their entrepreneurial potential, most of the time several newbies come up with complex technical solutions which are of little to no use or adds a new luxury to an already luxurious items. Most ideas revolve around two to three areas for example IoT in e-commerce (how to make it easy to shop using IoT), fitness-related (measuring various body parameters and calculating calorie burnt, steps taken etc. ), home-automation (handling home appliances smartly and remotely). I do not dispute the fact that moving with time often several luxuries tend to morph into necessities as has been seen in the past with the smartphones, e-readers etc. but that is a slow process and requires a specific set of conditions for example affordability, reach, marketing, peer-pressure etc. We have to evaluate ourselves that, up to which extent our solution comes into the necessity category right now. There have been several examples of innovations in history which were ahead of time hence the public, market and the ecosystem was simply not ready for them and hence these innovations never caught up and were discarded as unnecessary. We place huge amounts of resources when we decide to innovate and create something new however the question sometimes that we forget to ask ourselves is, what the reason behind this novel creation is. Certainly if you are a start-up this reason could not just be an academic study. Other than that, placing such huge resources behind something needs to have a solid, logical and convincing answer to this question. Fortunately, there is no shortage of start-ups which are well equipped with this answer as well. We should look up to the individuals and organizations around us who know what they are doing and why they are doing it. We can easily get and we certainly should look amongst our peers to refine our own ideas apart from professional mentors. Our eyes and ears should be open all the times focusing on the genuine problems that we ourselves face regularly. Hence, we should first become our own mentors, then our peers and people surrounding us may show us the path and finally professional, experienced guides can direct us into the suitable direction. This article has also been posted on Linkedin.